Courtney Grace...Love, Thoughts and Prayers: Sunshine and Goombay! I just returned from a glorious trip to the Bahamas with my Dad, Mom, Emma, Andre (her BF) and Johnny (My Twin, Andrew was dearly missed! Dang Arkansas Schedule~!) . We had so much fun! Our days consisted of slow lazy mornings, waking up to the ocean breeze blowing outside the window and the sound of the waves crashing mere yards from the creaky front porch of the 135 year old Victorian plantation house we rented. 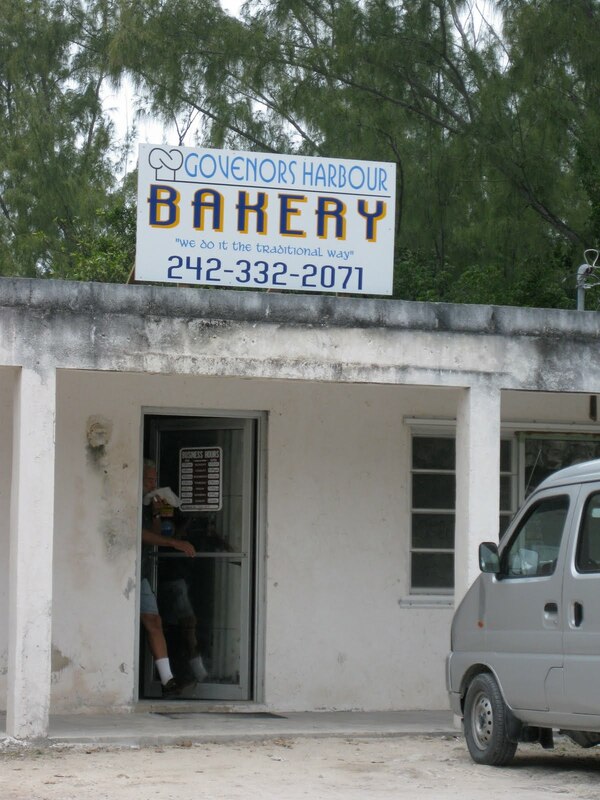 Most mornings we would walk the streets of Eleuthera, our final destination a tiny, "off-the-beaten-path" bakery. We greeted the locals with bright smiles and waves as we observed their typical morning routines (which are quite a bit more relaxed and slow paced than here in the US). 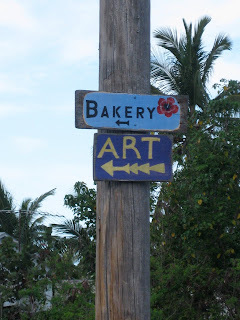 When we reached the locals favorite bakery we enjoyed flaky, melt-in-your-mouth croissants! Mmmm! Directions to the Bakery-very off the beaten path! Croissants, Donuts and Cinnamon Raisin Bread! We were frequent customers! Headed to the market to get fresh veggies for our "feast". One of the evenings we spent in Eleuthera we decided to cook our own meal using all the local favorites. So we scouted out the local market and dock, where we met the fisherman and purchased fresh fish and lobster, literally as fresh as possible! Their was this sweet, adorable boy on the dock who was fun to interact with! The Bahamian culture is so friendly, the women on the dock gave us instructions how to cook the fish and lobster and told us that we "couldn't mess it up", turns out! They were right and we thoroughly enjoyed our delicious feast! Building/Home overlooking the Bay-Next to the dock. Precious Bahamian boy I got to chat with while buying fish at the dock. Our Feast! Mmm. Fresh Lobster, Fish, Produce, Rolls from Bakery! Delish! We spent the majority of our days lounging at the beach enjoying the bright sunshine, cool breeze and ocean waves. Johnny and I enjoyed taking walks on the beach and "body surfing" when the waves were choppy and rough. The water was the most incredible color of teal blue which contrasted wonderfully with the pinkish white sand. It was fun to get a chance to marvel at the glory of God's creation, he is quite the artist! Fun in the Sun with my Love! The Gang, Enjoying the Water! The Island had so many animals running around; chickens, roosters, dogs..etc. This is a dog that we named Goombay after the favorite Bahamian softdrink, Goombay Punch. Goombay was so sweet and loved to find shade in the cool sand behind our beach chairs! Johnny and I at dinner! Several nights we went out and enjoyed the local restaurants around Governer's Harbor. This is my parents at the beachside "hot spot" Tippy's. This night I had a yummy seafood pasta...It was SO good! My Sweet Boyfriend--We had our 4 year anniversary the last day of the trip! We strung up hammocks in our front yard and had so much fun relaxing in them. We had "photo shoots" in them, taking pics of my favorite--Saddleback Bag, and Johnny trying to teach Andrew how to launch himself into the hammock. Emma and I also giggled as we looked on, watching Andrew and Johnny desperately try to crack open a coconut. The Beautiful Gate/View from the Folly House! This was the view we woke up to every morning from our front porch. Wow, what an amazing, relaxing vacation. I am so blessed!